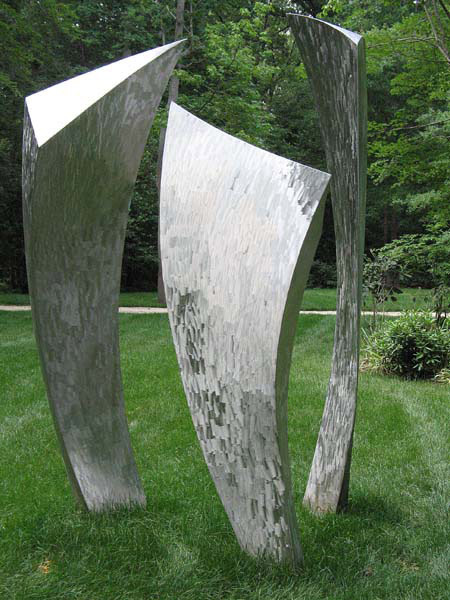 Three curvilinear shapes rise and twist upwards in unexpected ways, seen most poignantly as one encircles the artwork. 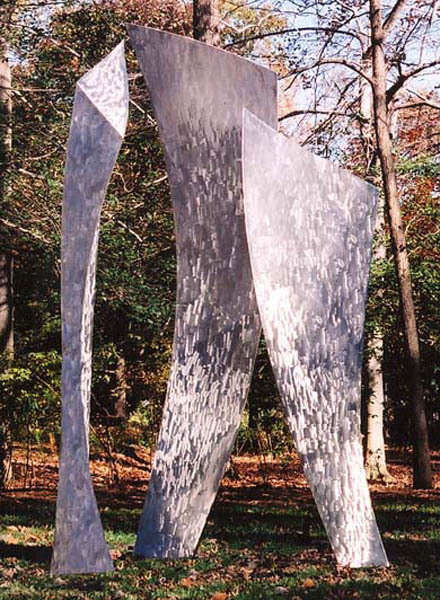 The complex angles create a dance of light and movement. 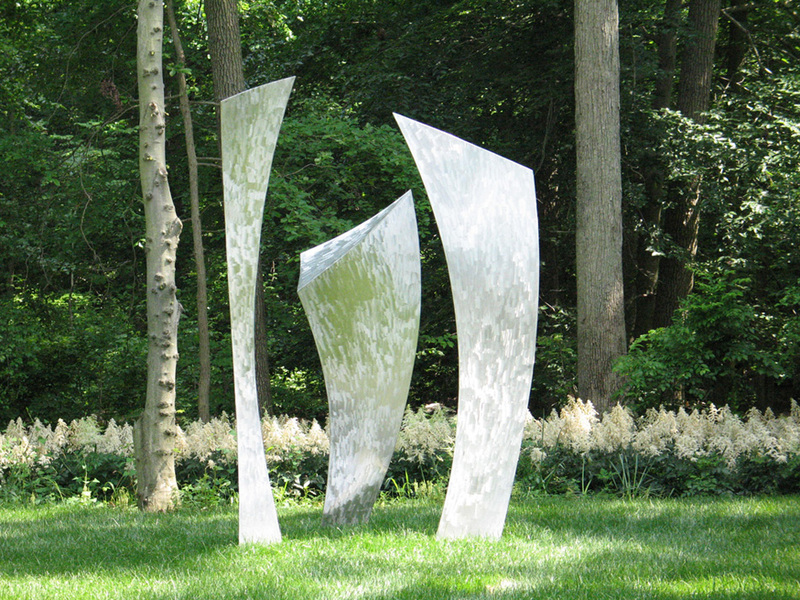 Created for a private residence, Harwood, Maryland.